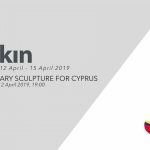 Art Space, the Nicosia events venue of Arkin University of Creative Arts and Design (ARUCAD), the sole art-design-communication focused University of Cyprus and the region, has issued an open call for participation at an ‘Design Products’ exhibition that will exhibit innovative designs demanded by today’s global world. An open call has been made for the ‘Design Products’ exhibition that is scheduled to be held in April by ARUCAD’s Nicosia events venue Art Space. The products that will be on display at the exhibition will be cognizant of the functional and sustainable design needs of our world, and will simultaneously be put on sale at the same venue. Erbil Arkın, Chairman of the Arkın Group Board; Assoc. Prof. Dr. İbrahim Dalkılıç, Head of ARUCAD Visual Communication Design Department and Kim Bennett, lecturer at the ARUCAD Interior Architecure Department are among the members of the jury. If the participants do so demand they will be provided with the opportunity to model and produce their products at ARUCAD studio and workshops, subject to the payment of the costs. The scope of designs cover household goods, everyday items, products than can be used at work and offices, and graphic design products. Materials such as plastic, glass, wood, ceramic,leather, textile products can be used in the execution of the designs. Candidates who wish to apply can obtain more information and the application form by visiting our website www.arucad.edu.tr. The last day for application to this open call is 29 March 2019.